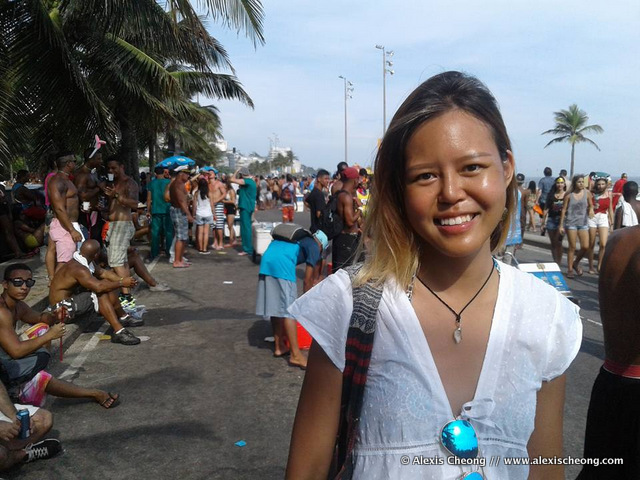 As many of you know, I went to South America from Nov to mid-Feb and ended my trip in Brazil, where I got a massive tan from the beaches of Rio. I came back home many many shades darker and that's what everyone commented when they saw me. Even though I enjoyed that tan, I wanted to be slightly fairer because I look younger when fairer. Plus I turned 30, so its high time I use some anti-ageing! So when my friend introduced me to a Japanese skincare brand called Orbis that's now in Singapore, I decided to try out their whitening anti-ageing range called the Orbis =U. What's awesome about this skincare brand is that it is 100% oil free! You might think that Orbis might be similar to FANCL, which has exited Singapore. I have tried FANCL before, but the products are too fragile for me. They expire really fast! What I wanted is to try out this Orbis skincare range exclusively for the next couple of months before I do a review so I can examine the results over a fair amount of time. Well, I started using the product from 26th April onwards -- and it's been exactly two months now! Here's the =U White range. There's a jelly wash, a lotion (after washing), then a day moisturiser with SPF 30 PA+++ and a night serum/moisturiser. The jelly wash is really cool - look at the texture! It feels really gentle on my skin as well when I used it, and there's a light pleasant smell but not any sort of fragrance. I use my regular SebaMed facial cleanser at night (because it seems more heavy duty) but use the jelly wash in the morning. While the lotion and night moisturiser are in liquid texture (lotion lighter than night serum) and gets absorbed really well, my favorite product among the range has to be the Day Moisture. I use it EVERY DAY even when I don't go out to protect against the UV rays with the SPF 30 PA+++! It is also moisturizing without feeling thick or oily. This is how it looks after it's lightly spread out. There's a slight white-blue sheen which disappears as you rub it in. And how are the effects, you ask? Well let the photos show for themselves. I sat at the same place at the couch and took the photos around the same time (1pm) with my iPhone 6 and did not use any photoshop or photo-editing. This was before -- when I came back in February. Quite brown! This was earlier this month after I have used it for 1.5 months. Can you see how the pink beneath my skin is shining through? And this is now, exactly two months later! There's not much difference compared to 7 June but you can see the contrast to the pic in February. And this photo was even after I went to Bangkok over the past weekend! Anyway I am super happy with the results and finally finding a skincare range that works for my easily-tanned skin. I'll be going to Africa for a whole month from this Thursday onwards and plan to bring all of the products with me. This is not a sponsored post. If you're also looking for a skincare range that's not oily or heavy, try Orbis -- I highly recommend it!